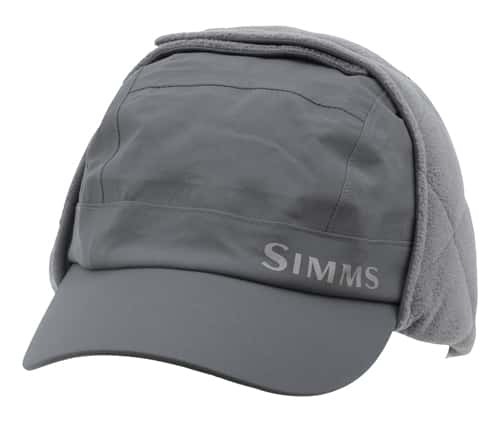 The new Simms Gore Tex ExStream Hat comes with many improvements including a Simms fabric tech 3-layer GORE-TEX PRO Shell with fleece lining. Features include a waterproof breathable shell with quilted inside fleece lining to keep you warm during the brutal storms on the river. A black under brim reduces any glare reflection from the water so you can see those fish. Comfort and fit enhanced with a elastic sweatband and adjustable back cord lock that will adjust to anyones big fishing head. For a long time I wanted to buy this cap. Simms quality is always on top. Comfortable, warm. I am very satisfied!